Graduate with both a B.Sc. in Chemistry and a B.Eng. in Chemical Engineering in four years – half the time it would normally take to get both. Simultaneously earn both a B.Sc. and B.Eng. degree in just four years through a new partnership between Trent University and Swansea University in the UK. 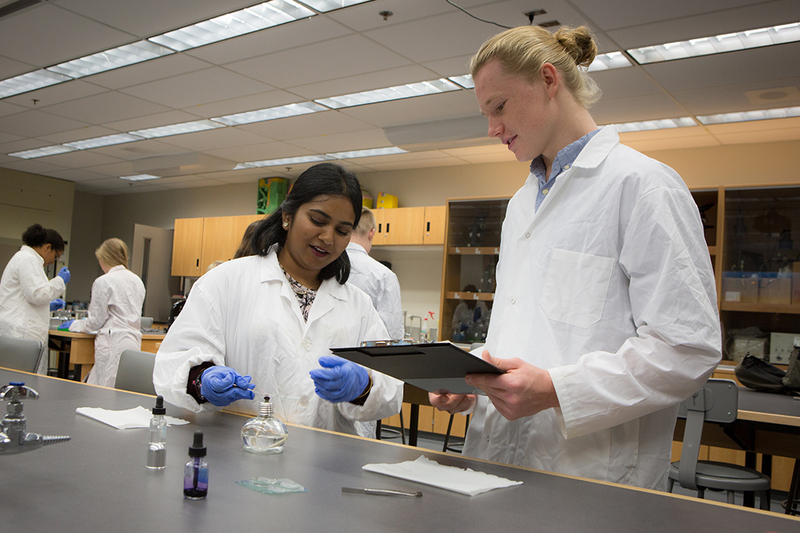 In this rewarding integrated dual degree, you’ll spend your first two years studying Chemistry at Trent, gaining experience in modern experimental and theoretical chemistry, while using Trent’s world-class lab and instrumentation facilities. From there, you’ll travel across the ocean to Swansea’s picturesque seaside campus to complete a Chemical Engineering degree at one of the top 10 engineering schools in the UK. There, you can choose to complete summer placements to progress toward a P.Eng. This professionally accredited degree will equip you with knowledge and skills to design, operate and optimize chemical and physical processes, turning raw materials into valuable products for human use. Your studies will focus on established chemical engineering areas with application to energy, health, food, water, and the environment. Chemical engineers research, design, and develop chemical processes and equipment, oversee the operation and maintenance of industrial chemical, plastics, pharmaceutical, resource, pulp and paper, and food processing plants and perform duties related to chemical quality control, environmental protection and biochemical or biotechnical engineering. Chemical engineers are employed in a wide range of manufacturing and processing industries, consulting firms, government, research and educational institutions. Minimum 80% average. SCH4U, SPH4U and MCV4U or MHF4U.